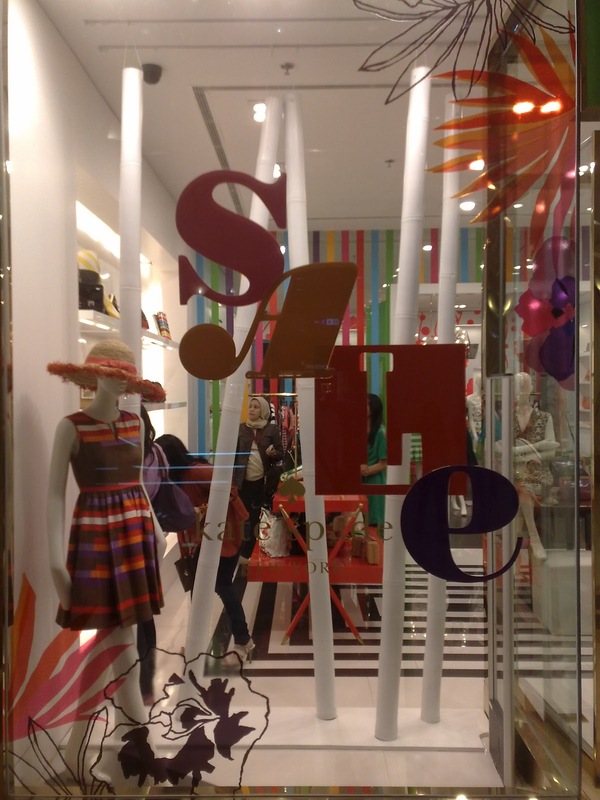 Bamboo and Haiti has a very close connection that Kate Spade window display is decorated with rows of white bamboos. 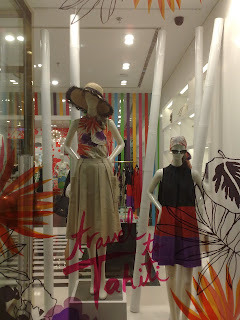 The theme is traveling to Haiti and the mannequins are wearing printed coral-color dresses, rafia hats, and sunglasses, posing in front of the white colored bamboos. And since this is a sale season, there are stickers of SALE words in a choice of bright colors to expose it.